Shido is a vampire without a past. Driven to do good, he hunts the night, slaying demons and vanquishing evil with the help of his beautiful partner, Riho. Together, they specialize in solving paranormal mysteries and keeping the streets safe from supernatural scum. But Shido's past is about to catch up to him. 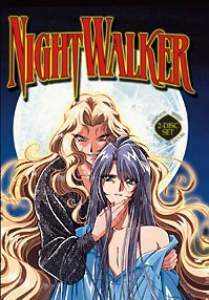 The ancient vampire who stole his memory returns to seduce his partner and condemn her to a life of eternal darkness. If Shido destroys his nemesis, he can save his partner, but he may never solve the mystery of his past!